Can Certain Fruits Speed Up Metabolism? Glycolic acid is most often associated with skin care, but it's also a natural acid found in a variety of fruits. In addition to lending a certain amount of tartness to some of your favorite fruits, glycolic acid helps fruit grow and mature, and it may help protect the fruit from bacteria. Glycolic acid isn't an essential nutrients, but glycolic acid-rich fruits offer other nutrients that benefit your health. Although citric acid is the primary acid found in these two fruits, both strawberries and blueberries are a source of glycolic acid. The exact amount of glycolic acid in the berries is unknown, according to food ingredient company Hawkins Watts, and may vary depending on ripeness and season. There are no known health benefits to ingesting glycolic acid, but berries have other beneficial nutrients. 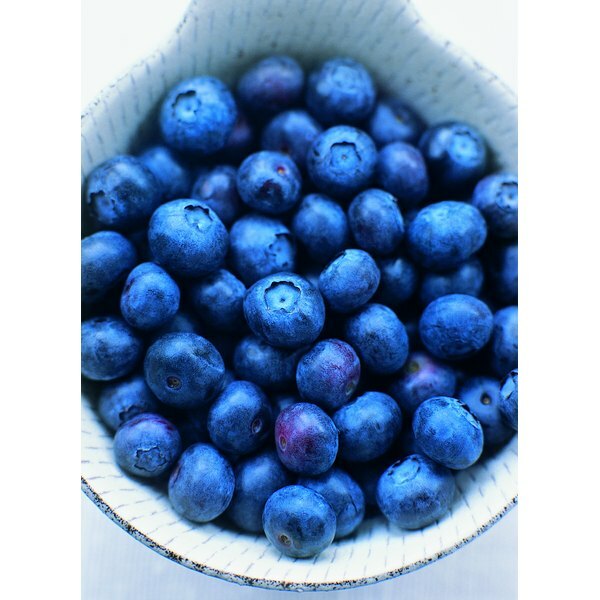 Blueberries, for example, have more antioxidant activity than any other fruit, according to Canadian Living, and eating them may help reduce your risk of developing illnesses such a Alzheimer's. Cherries are also a source of glycolic acid, although the primary acid in them is malic acid. Cherries, especially the sour ones, are rich in anthoycanins, which are antioxidants that may help reduce inflammation and are also associated with easing pain caused by gout or other forms of arthritis. Grapes that haven't ripened are also a source of glycolic acid. While it's safe to eat unripe grapes, you might not enjoy the taste of the sour fruit. However, these types of grapes are used to make a sour molasses. As the grapes ripen, the glycolic acid in the fruit decreases, explains Wilhelm Pfeffer, author of "The Physiology of Plants." You can easily incorporate these foods into your diet plan if you're trying to up your intake of glycolic acid. Blueberries make a sweet addition to any whole-grain breakfast cereal or plain nonfat Greek yogurt. Blend strawberries in with your fruit smoothie or add a few slices to a garden salad. Cherries are delicious by themselves as a snack, or you can pit and slice them and add to whole-grain pancake or muffin batter. You can slice sour grapes and mix them into a sweet fruit salad to balance flavor, or dice the grapes and add them to a spicy salsa.